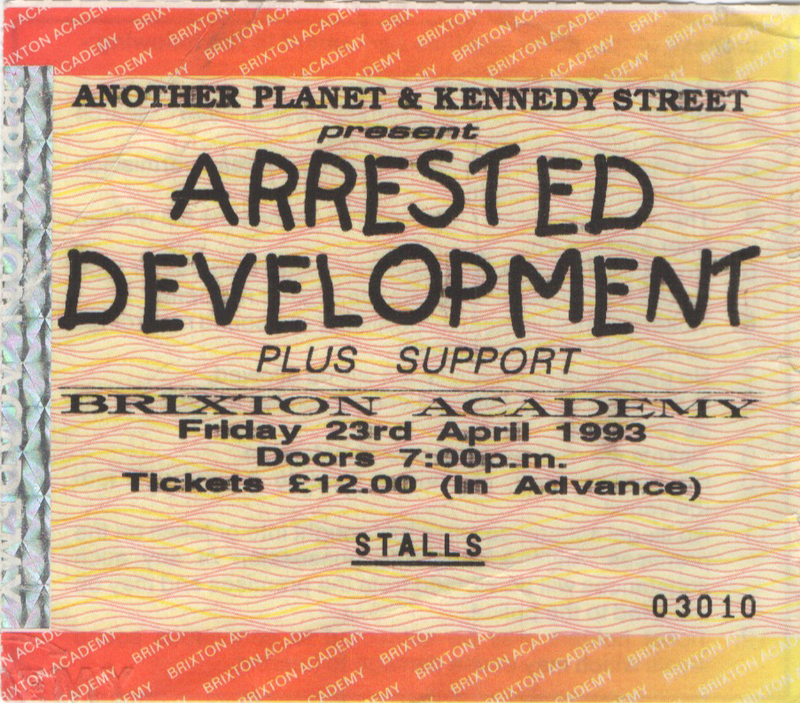 The first time I heard Arrested Development was on MTV’s Unplugged and I thought they were really good! So I went along to see them when they played at the Brixton Academy a few months later. The thing I remember most about this gig was something that happened on the way there! I had parked the car a mile or so from the venue and was walking into Brixton when suddenly a guy suddenly appeared from nowhere and started to talk to me! I was very confused as that sort of thing just doesn’t usually happen and I was, if I’m honest, suspicious of his motives. However after a few minutes he said “Bye, hope you enjoy the gig” and walked off – much to my relief, although I do confess I did feel very guilty for suspecting him in the first place! The other things I remember was how loud the bass was and that the first note almost knocked us off our feet and that after the gig I went to the loo only to find there were more women in the gents than there were men! I seem to recall that I didn’t like it as much as I had liked the original broadcast but thinking about it there were probably people on the MTV show that didn’t come over to the UK so the sound probably wasn’t the same but there’s also part of me that expected them to do the same as they did on the TV show and obviously they didn’t!